Once again, the time has come for architects to submit for the RAIC?s prestigious annual awards program. Architects are invited to enter or nominate a colleague or leader in the profession to be recognized for contributions to the built environment. The various RAIC Awards honour a wide range of achievements in the architectural profession. 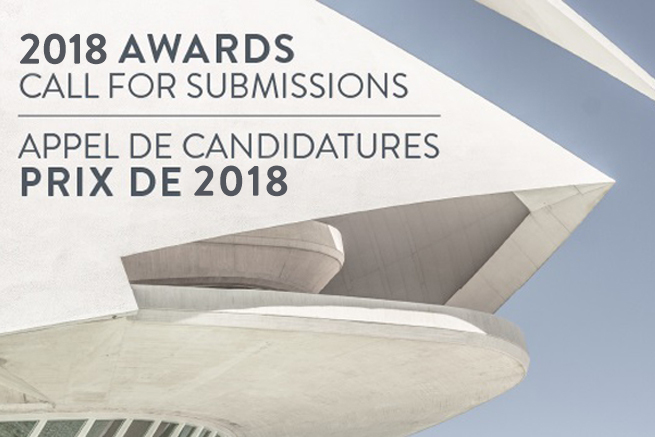 Open for submissions until January 19 are the RAIC Gold Medal, the Emerging Architectural Practice Award, the Architectural Firm Award, the Young Architect Award, and the Prix du XXe Siècle, awarded in partnership with Heritage Canada The National Trust. Gold Medal ? The RAIC’s Gold Medal is the highest honour that it can bestow in recognition of a significant and lasting contribution to Canadian architecture and is not to be construed as a competition. Emerging Architectural Practice Award ? This award is to recognize the principals of an emerging architectural practice that has consistently produced distinguished architecture. The award recognizes the achievements of the principals for the quality of their built work, service to their clients, innovations in practice and public recognition.